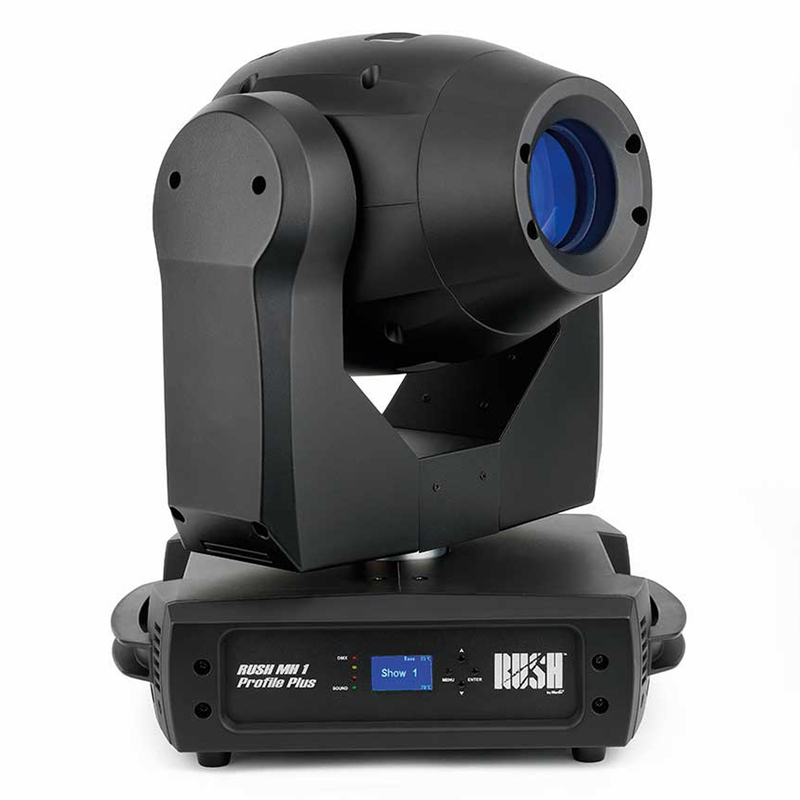 This super bright LED profile moving head is even brighter than its predecessor RUSH MH 1 Profile with 50% more output. Efficient optics with an increased beam angle from 13 degrees to 16 degrees punches out a variety of effects and colors from two gobo wheels and two color wheels. For added versatility and effect, it also houses an electronic dimmer and strobe, iris and 3-facet prism and an improved cooling system for quieter operation. Total heat dissipation (calculated, +/- 10%, at full intensity, full white): 1010 BTU/hr.